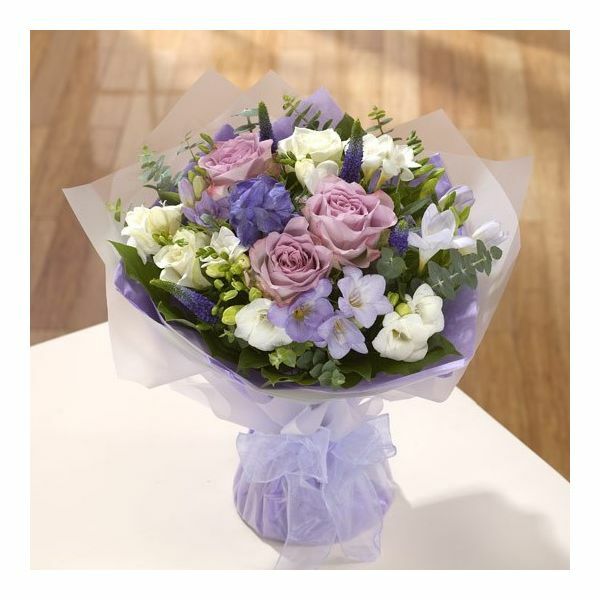 The Heaven Scent is a wonderfully fragrant aqua-packed bouquet including delicate freesias, roses, eucalyptus and veronica. A more compact display, offering a full arrnagement without being quite so tall as the other handtied bouquets. Ideal as a gift for those who appreciate the more delicate flowers over large flamboyant blooms.